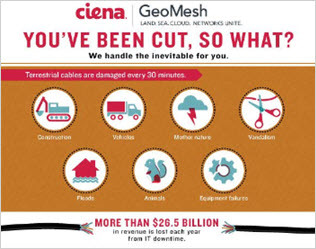 Ciena GeoMesh: You've Been Cut, So What? GeoMesh. Land, sea, cloud network unite. Ciena helps you stay connected all the time.